Thailand, with its beautiful beaches, is one of the world's top tourist destinations. But as the crowds grow so does the debris left behind on the beach. Thailand has dispatched a new cleanup crew - the beach cleaning robot. 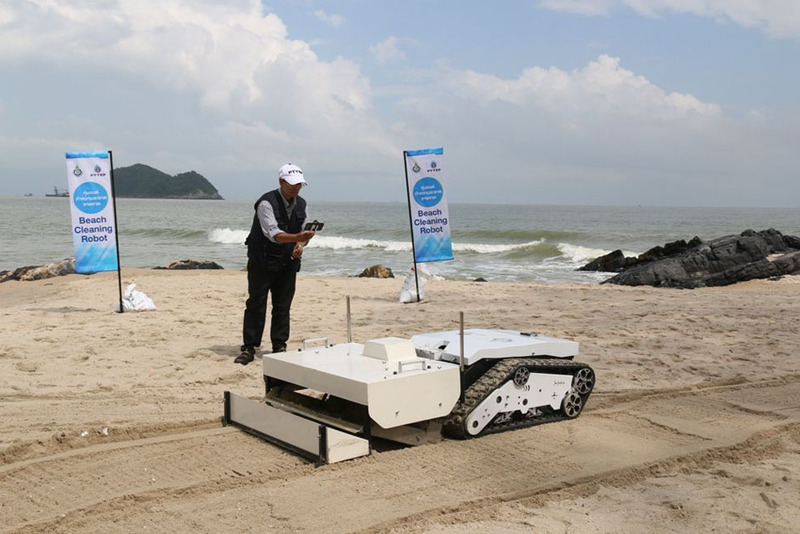 Thai oil and gas exploration company PTTEP and Prince of Songkla University have partnered to create the beach cleaning robot. They're calling it the PTTEP Love Sea Love Beach project and it's proving effective. Beachbot can be controlled remotely by WiFi. It travels along the beach using a vibrating sleeve to separate the trash from the sand. It works on dry and wet sand and has a rechargeable battery that lasts for 2 hours. The team behind Beachbot are expanding its capabilities and plan to deploy more on Thai beaches. It's robotic innovation making a positive impact on sustaining the beach and making a beautiful destination even more beautiful.